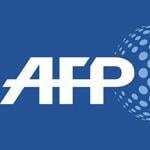 LONDON: The British MP spearheading parliamentary attempts to frustrate Brexit told AFP that he would not be intimidated by threats of violence as he called for a second referendum to end a deadlock over Prime Minister Theresa May’s EU deal. Conservative MP Dominic Grieve’s moves to increase the influence of parliament over the Brexit process has made him a hero among EU supporters of all stripes and a target of vicious attacks by infuriated Leave backers. Grieve revealed last month that he had received death threats, while his fellow Remain-supporting MP Anna Soubry was called a Nazi by street protesters outside parliament. Security has been ramped up around parliament with fears that tensions could spill over as the clock ticks down to March 29, when Britain is set to leave the European Union. "We should not be intimidated, and parliament will not be intimidated... by people who threaten violence," said Grieve. "I accept that there are large numbers of people who want Brexit... and will feel angry," he added about his push for a second vote that could end up thwarting Brexit. Addressing Leave voters, he said it was "precisely because I think that we have to respect their views and the 2016 referendum result, that I think we need another referendum," rather than outright stopping of Brexit. The former attorney general has used his legal expertise to craft parliamentary devices to frustrate the May government’s plans, making him the ringleader of MPs trying to take charge of the Brexit process. Grieve delivered a stinging defeat for the government on Wednesday after MPs voted for his amendment demanding that the prime minister reveal her "Plan B" within three days in the likely event her current deal is voted down by parliament on Tuesday. "I’m pleased with what has been achieved," he said of his efforts, adding he had helped "provide better opportunities to express an opinion" on the government’s plans. Grieve however downplayed the importance of Wednesday’s win, which caused outrage among Brexit-supporting MPs, who accused House of Commons Speaker John Bercow of ignoring convention and the advice of his officials by allowing the amendment.